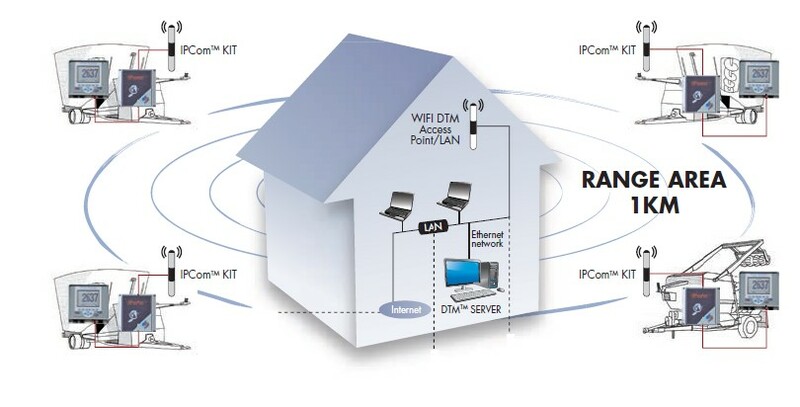 IP com: Additional unit used to link weight indicators and DTMTM on PCs network, based on the Ethernet interface (IP address communication protocol). Open connectivity device with real time wireless communication. Data available where you need it, when you need it. No hardware, no administration, low implementation costs. Managed training services from experienced team delivers rapid deployment. Dedicated support services for all DTM customers.